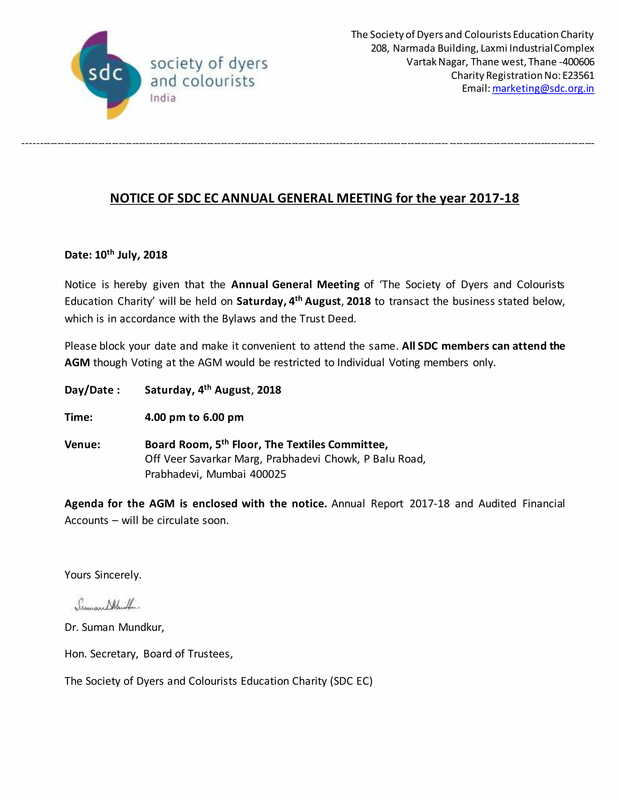 Notice is hereby given that the Annual General Meeting of ‘The Society of Dyers and Colourists Education Charity’ will be held on Saturday, 4th August, 2018 to transact the business stated below, which is in accordance with the Bylaws and the Trust Deed. Please block your date and make it convenient to attend the same. All SDC members can attend the AGM though Voting at the AGM would be restricted to Individual Voting members only. Agenda for the AGM is enclosed with the notice. 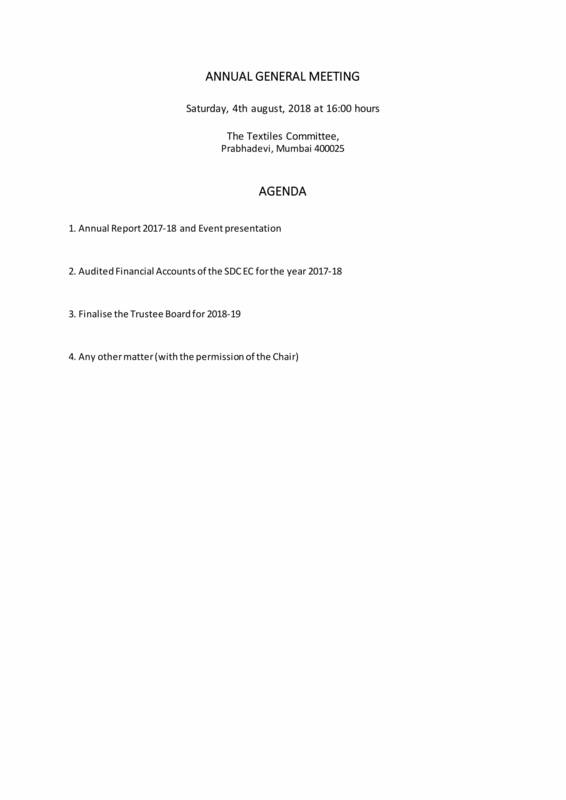 Annual Report 2017-18 and Audited Financial Accounts – will be circulate soon.